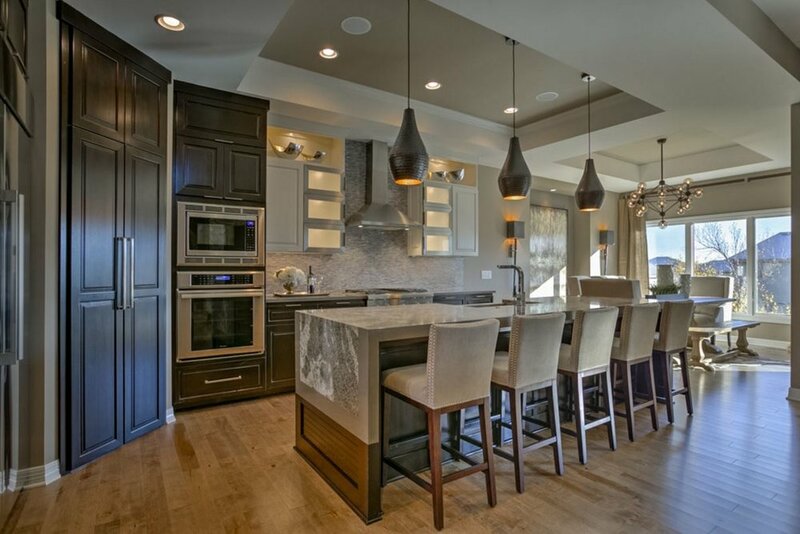 Many homeowners wonder what they could do differently to make their kitchen stand out from the rest of them. Working with kitchens all day long, we have acquired some fantastic ideas to make your kitchen go from drab to fab. Mixing materials and textures have been a popular statement in kitchens as of late and your countertops are no different. Some homeowners will mix certain stone materials with wood or cement. 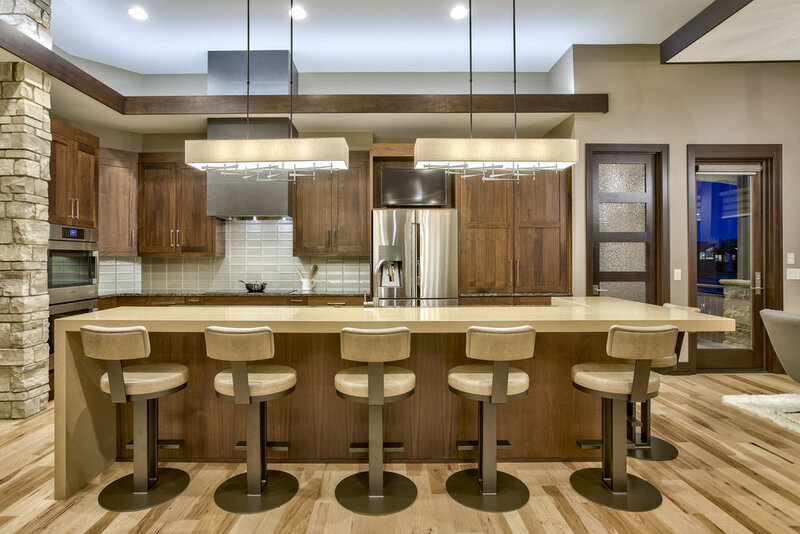 For instance, having a stone countertop along the perimeter of your kitchen and using a wood top on the whole island, allows you to bring some texture and warmth to the space. Along the same notion of mixing materials, mixing colors is also a unique way to spruce up your kitchen. Many homeowners use one color on their perimeter and use a top with more flair on their island. This allows your island to be a focal point and a conversation piece. CKF has also done a unique feature in which we use a solid border to frame out a pattern with more veins, swirling or marbling, to give that piece the momentum it really has. Waterfall legs are another trendy option for those looking for that “wow” effect. This particular designer used two waterfalls to create a slightly raised bar for their customer who wanted a raised bar but not a traditional full raised bar. The raised bar “rests” on the island countertop and they used two different quartz colors to differentiate the pieces. This is another use of mixing materials and textures, even if they are the same type of stone. The opposite effect could be to float a lower piece of quartz off of your island to create a table for guests to sit and mingle while you prepare dinner or drinks. Browse the CKF website at ckfco.com or our Instagram page to browse hundreds of impressive designs from designers in your community! Or Contact us at any of our locations.